I am excited to formally announce my new brokerage, Realign Real Estate! I've been working on the launch for the past 18 months, and will be working out of the Impact Hub, moving between the State Street and Funk Zone locations in Santa Barbara. The Impact Hub is the perfect resource as the company grows, as it is in line with the goal of keeping overhead low, and passing savings on to clients (cutting the traditional "big-brokerage" fees). I have access to high-tech conference rooms for client presentations and easy parking (not to mention commercial espresso machines and local draft beer). When I look back to how many times I actually had clients visit my real estate office - it was very few over the past couple years. In the early years there was walk-in traffic during floor time, but the onset of readily available information via the internet, and the aggregator sites like Zillow and Trulia, have made the traditional real estate office a thing of the past . . . So why Realign? The Real Estate industry is changing and new business models are being born. Progressive brokerages are finding ways to add value to the client experience, and charge less - taking advantage of easily accessible property data, online marketing, digital signing services, and virtual offices. These new models are applying pressure on the "big brokerages", resulting in margins becoming thinner and thinner. Consumers want transparency and understand they do have choices beyond the standard 5-6% commission. When I started in the industry in 2002, I was the gatekeeper to all information. Consumers did not have access to the MLS, and books were printed on a weekly basis with new listings. People had to walk-in to the office to find out what was for sale, especially in Montecito where there were no "For Sale" signs! Wow - have things changed! The role of the agent has moved away from gatekeeper of all listing and property data, to that of a trusted expert and advisor throughout the sales process. However, the "standard of practice" commission rate of 5-6% is unchanged and encouraged by the big brokerages - especially in the face of rising costs, competition, lower margins, and the ongoing challenge of smart technology investment. Thus, Realign Real Estate is born. Realign is poised to be nimble and creative as the industry changes. 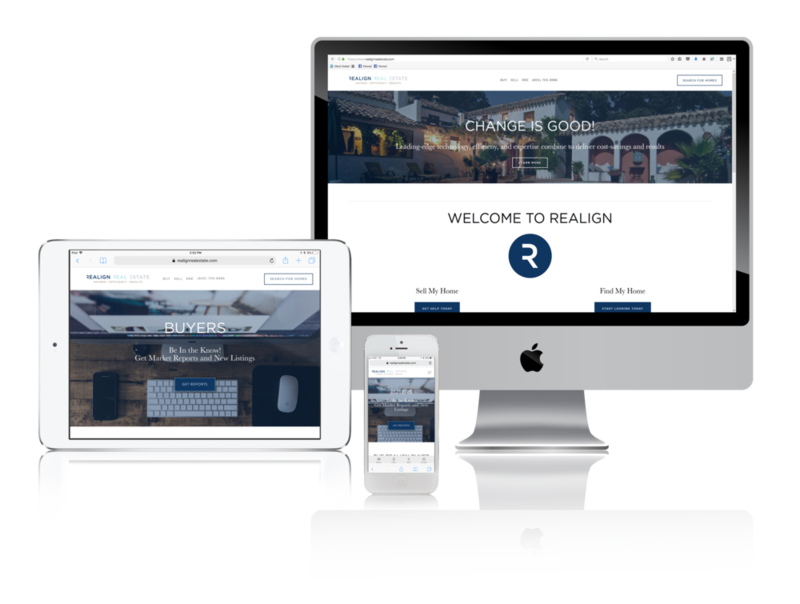 Realign is able to determine the cost of services based on the complexity of the transaction, price of the property, and client needs/goals. Coupled with my 15 years of big-brokerage experience, I am excited to launch Realign Real Estate and help shape the future of local Real Estate!